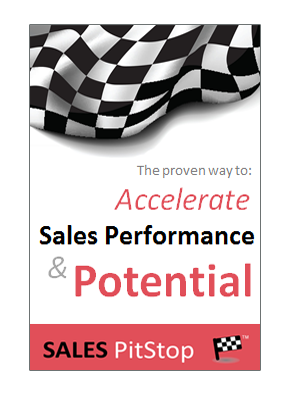 When it comes to the complex sale the salesperson is often cast in the role of catalyst and change agent. But, selling change is not easy. For some customers the most immediate barrier to change may be a lack of awareness (1) of the need for change, for others it may be taking action (2) to make it happen. 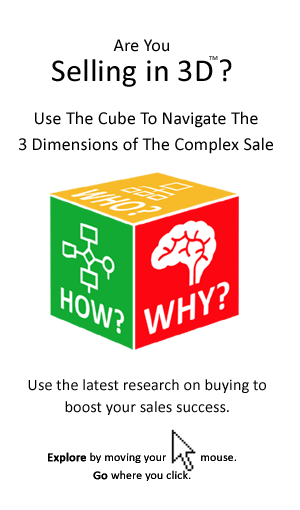 Which of the 5 obstacles to change represent the greatest challenge to winning the sale? To progress the sale the seller should focus on helping the buyer to transition from one step to the next. This can be quite different to the traditional ‘always be closing’ sales approach. Are The Changes Hard Or Soft? To understand the changes for your customer it is helpful to distinguish between what we call ‘soft’ and ‘hard’ changes. – The purchase of a back office administration system. Successful implementation is likely to require process changes as well as changes in strategy and perhaps a restructuring of administrative function. The appetite for these changes is likely to have a major bearing on the buying decision. – The implementation of a new compliance regime is likely to require new forms of reporting, as well as changes to systems in order to present the required compliance data. The total cost of ownership will include the cost of all of these related changes. ‘Hard’ changes can be costly and time-consuming. However they may be more manageable than what are ironically called ‘soft changes’. Changing the code in a software system or the steps in a process is easier than changing the way people think and behave. The problem however is that ‘hard changes’ often necessitate ‘soft changes’ to take place in tandem. This is where organizations often face their greatest challenges. – Gap between the strategy and its implementation.